On February 18th, Tziporah “Tzipi” Livni ascended the podium of a press room, face sullen and lapels firmly pressed. In commanding Hebrew, her voice had a slight but unmistakable tremor. Before the crowded room of television cameras, reporters, and staffers, she declared that, after twenty years in the Israeli Knesset, she would not be seeking reelection. Livni’s announcement was unexpected, but altogether logical. 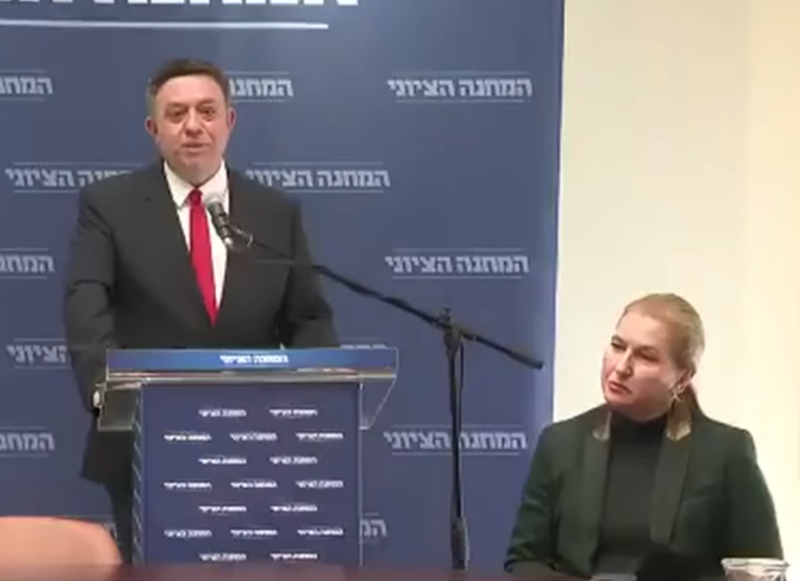 Six weeks before, Labour Party leader Avi Gabbay, with whose party Livni’s own Hatnuah had been combined, staged the equivalent of a public dumping of his partner, terminating the union between their two parties on live television without telling Livni in advance. Promptly, he followed the announcement by naming Shelly Yacimovich the new Leader of the Opposition, a position his partner had held since early 2018. And so, this messy and public political divorce left Livni heading into the election season stripped bare, trying to jumpstart electoral support for a party that had become something of an appendage to its much larger Labour ally. 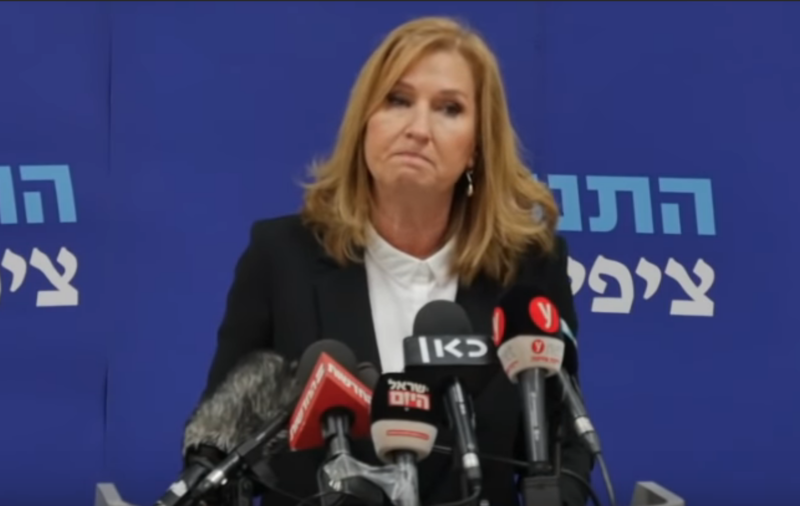 With polls consistently estimating that Hatnuah would fall short of the total vote-share required to gain representation in the Knesset, Livni faced a grim reality. Not wanting any centrist and left-wing voters to spoil their ballots by supporting a party that might ultimately fail to make it into the legislature, Livni sacrificed her own political life, retiring so as to cede votes to the more surefire parties in her midst. Much has been made of Livni’s retirement, most of it beginning and ending with a mourning of the two-state solution she so avowedly peddled in her final years as a lawmaker. Pieces in Israel’s Haaretz, and the New York Times reflect with that same remorse, grieving that the lawmaker’s departure marks the eradication of the idea of Israeli-Palestinian negotiations from the country’s political mainstream. And, that might very well be the case. Yet, there is an element of Livni’s retirement that has been perpetually overlooked in the myriad political autopsies conducted on her career in the past few weeks: the fact that she is a woman. In the matrix of fervent ideologies that jostle against one another in the Israeli Knesset, that identity on its own is worthy of note. Livni’s womanhood has defined the key junctures of her twenty-year political career, igniting, punctuating, and ending her time in the legislature. In 1980, as an agent in Israel’s secret service, a twenty-two-year-old Tziporah Livni was told to sign a form regarding her future commitment. As she has recalled in interviews since, the agency was frank: “If you get pregnant, you can leave.” And though she did agree to another four years of work, she also got married, and eventually, pregnant. She soon left the job, unwilling to sacrifice her personal future in favour of a professional one. Without any fanfare, she returned to Bar Ilan University for law school, and by 1999, had become a Member of Knesset for Benjamin Netanyahu’s right-wing Likud. From there, she would embark on a two-decades-long political migration, bouncing further left in attitude and further up in importance across multiple parties on Israel’s ever-mutating spectrum. Having gradually travelled to the centre by 2008, Livni found herself to be a top-ranking member of the governing Kadima party. When its leader, then-Prime Minister Ehud Olmert, resigned amidst a flurry of corruption allegations, Livni seemed poised to become Israel’s first female Prime Minister since Golda Meir (herself the lone woman in her cabinet in the 1960s and 70s). But she could not corral the same seats as Olmert had. Shas, the most popular ultra-Orthodox party in Israel — which does not allow women to serve under its auspices — bowed out of the governing coalition, concerned over social welfare funding and unsettled by Livni’s womanhood. Accordingly, even though Kadima managed to win the plurality of seats in the 2009 national elections, it was forced to surrender power once again to Netanyahu’s Likud. From the failings of 2009 until now, Livni has held ministerial roles in the governing coalition, led the opposition in two separate parliaments, founded and led her own Hatnuah party, and co-led the joint-list Zionist Union, often performing more than one of these roles at the same time. Cumulatively, Livni has served in more ministerial positions than any other woman in Israeli history, with the Justice and Foreign Affairs portfolios considered among the Knesset’s most important. She has honed a demonstrated knack for diplomacy, garnering respect from her American, European, and Arab counterparts for her negotiating skill. She has become something of a phenomenon in both domestic and international circles, a morsel of human constancy and competence in Israel’s dynamic political frenzy. And through all of this, she has maintained the nickname “Mrs. Clean“, because she has been so committed to a reputation of candor, and has so scrupulously avoided the tinges of rumour and scandal that often taint her fellow (male) legislators. 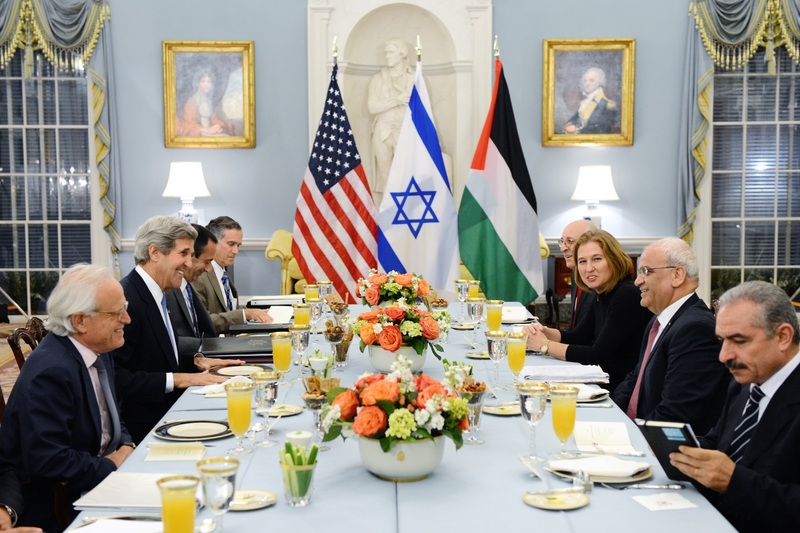 Then-Justice Minister Livni, seated next to Palestinian Chief Negotiator Saeb Erekat, attend an Iftar (a Ramadan after-sunset meal) hosted by Secretary of State John Kerry in 2013. Yet, at the end of her political career, Tzipi Livni’s womanhood is not the catalyst for her end, the way it was for her 1999 beginning, or her midpoint in 2009. Instead, womanhood figures into this portion of her story because of the very woman-less landscape her 2019 retirement leaves behind. In the current field of candidates for Israel’s April elections, not a single one of the top-polling leaders is female. Among the “Top 10” lists of potential Members of Knesset for the the three most popular parties (a combined total of thirty names) only eight are women. And Kachol Lavan, the party that poses the most potent challenge to Netanyahu’s leadership, boasts four male figureheads, three of them former Chiefs of Staff of the Israel Defence Forces. What’s more, the only women that do seem to hold independent relevance in this election cycle are those who reflect this same militarism and masculinity, a product of the predominance of national security issues in Israeli political discourse. Miriam Peretz, the front-runner to become Israel’s largely ceremonial President, is a stoic beacon of patriotism because two of her sons perished while fighting for Israel in wars. Orly Levy-Abekasis, head of the small, centre-right Gesher party, carries electoral weight, most say, because she revived a party started by her father in the 1990s. All other women—and there are, to be sure, still thirty-five female Members of Knesset—are further down on party lists, off the proverbial grid of ministers and high-profile appointments. A 2015 photo of the cabinet of the 34th Government of Israel, with Ayelet Shaked (centre, in red) among the body’s three women. Hence, it’s not that the departure of this single woman will dramatically reduce the overall proportion of the next Knesset that is female. Those numbers are expected to hold steady, or to decline only slightly. Instead, what Livni’s retirement does is remove one of the only women who was consistently at the top of the political game. It purges a woman’s voice from the most important tables, around which few female representatives in the country have ever acquired the influence and popular support to sit before. With Livni chewed up and spat out by Israel’s cockamamy electoral system, the next Knesset can only get more masculine, more militaristic, and less substantively female than it’s been in decades. To be clear, Tzipi Livni was by no means a “woman’s politician.” She barely brought up gender-based issues until 2011, when social protests had rendered it politically soluble to do so. And it’s not as if there’s a marked scarcity of women’s rights activists in Israeli politics, either. Relative to the most advanced nations, including the United States, it can be said that the Knesset has been home to a considerable number of such advocates, with women’s political representation fairly evenly dispersed across the left-right continuum at that. Still, in a system of government so cluttered with issue-driven parties and reactionary campaigning, only a handful of women have managed to transcend the expectations that they be “women’s politicians” to simply be politicians who are also women. Few have navigated the assumptions about femininity, or the expectations that they be tokens in larger governments, to actually effect lasting policy change at the highest levels of successive governments. In the annals of history, then, Livni joins the slim ranks of Labour’s Golda Meir and Shulamit Aloni, while dubiously having paved the path for right-wing women like Ayelet Shaked to seize influence in Knessets to come. Tzipi Livni was not a devout women’s advocate. But she was not a token, either. She was an unrelenting human force. She refused to be pigeonholed by the identities or ideologies into which Israel’s jumpy political system so often tries to stuff its lawmakers. Livni was not a “woman’s politician,” because she wasn’t anybody’s anything. She only held fast to principles of negotiation, fairness, and transparency, and those principles carried her nimbly, yet unapologetically through twenty years of Knesset life. This existence–one that was neither neglectful, nor beholden, to womanhood–is a boon to the next generation of Israeli women in politics, even as her absence from the landscape will represent a more immediate de-facto regression into the country’s political culture of machismo. So at least for now, we’ll bid farewell to Tzipi Livni, and to the peace she tried to make. In some ways, this was an external peace—one she fought in futility to achieve with the Palestinian Authority. But, however tacitly, this was also an internal peace —a peace with Israel’s own demons of patriarchy, readying for resurgence in the election ahead.